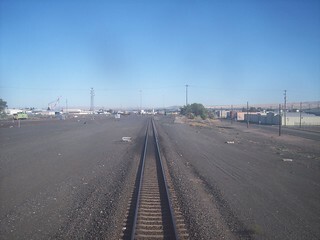 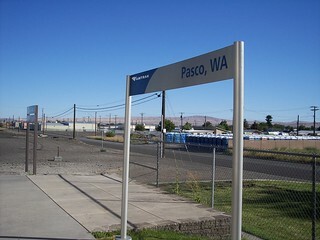 The current Pasco station is visible in the distance. 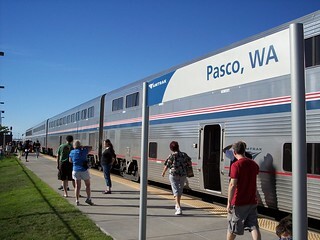 The Empire Builder makes a stop at Pasco. 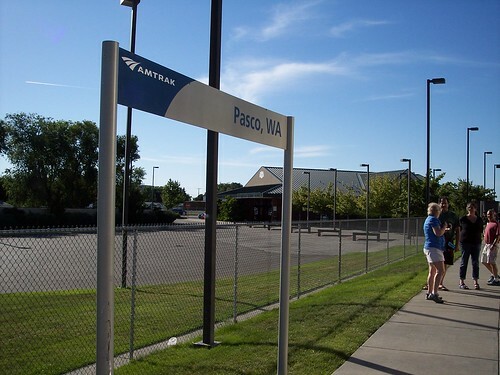 The Pasco station had been a bit further down the tracks. 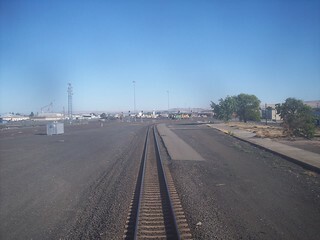 The old station building is gone but the unused platforms remain. 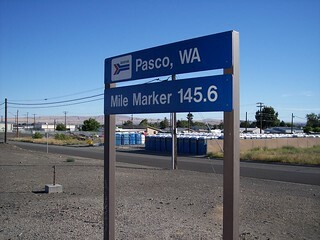 An older style station sign.